I barely see you ride beside the cars. night on your ride out the Columbia Gorge. like growing up in towns too dry to grow. distance, testing the body that tested her from birth. her body turned to sack and bone, from flesh and force. too late—and floated flowers down the Columbia. into dark, under dark, beside the water-silent dark? Can my song guide you through the strangest Sea? Beautiful Kate. A touching homage. 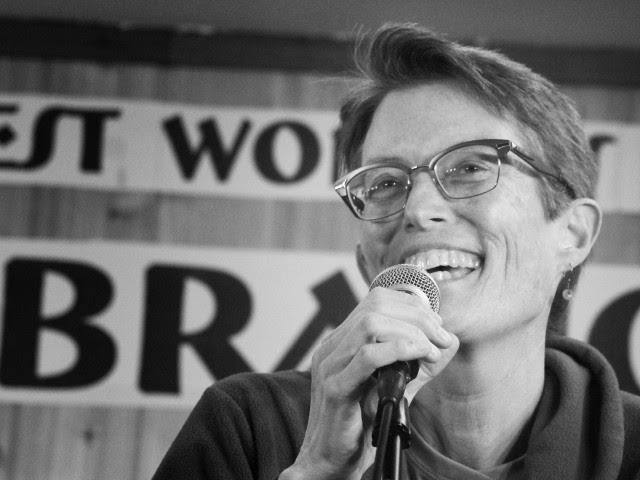 ...These are writings by Kate Gray, from Portland, OR. See full website: kategraywrites.com. Thoughts and comments invited. Please contact Kate by clicking here. 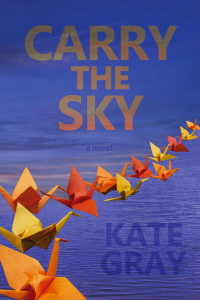 Carry the Sky, Forest Avenue Press, 2014. Another Sunset We Survive, Friday Harbor, WA:Cedar House Books, 2007.